You can add social sharing buttons to the end of each post/page in Settings → Social Sharing in your blog’s dashboard. Choose the sites you want to share by ticking the selection box. You can drag and drop icons to reorder them. 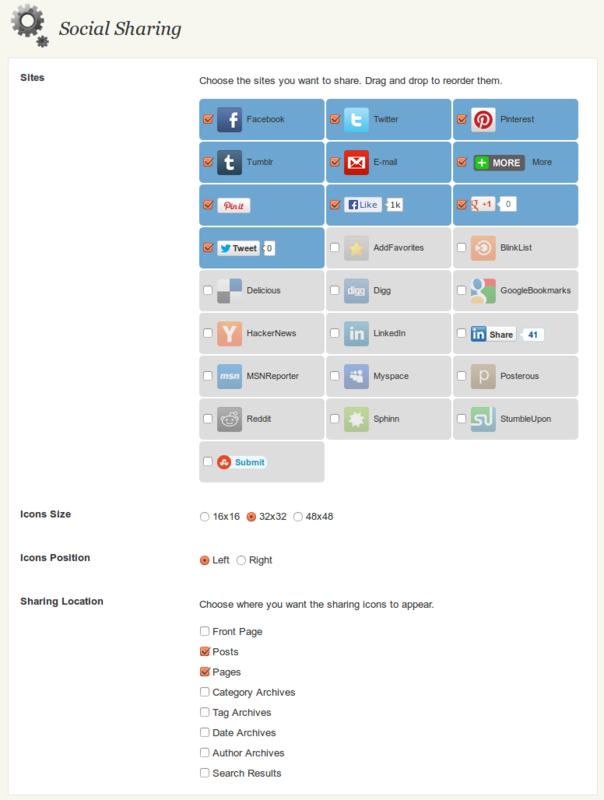 sharing location – homepage, posts, pages, etc.